Streamlining, automation and outsourcing can also provide business benefits. Whether you own a small Internet business, a blog or some other web-based biz, you can profit from the efficiency that automation delivers. Minimizing the number of things you have to do each day, each week and each month as a business owner is also important. This means streamlining your activities and creating business systems and processes can help you generate leads, build your email list, create sales and improve your profit margins. Keep the following tips in mind and you can effectively reduce the amount of time you work on your business, while simultaneously building your business reach and productivity. Standard operating procedures, step-by-step processes and A, B, C methods minimize the amount of mental and physical time and energy you need to put into your business. By testing and tweaking these step-by-step business systems over time you can find the quickest and most efficient way to handle every aspect of your business. 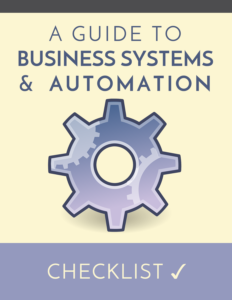 The 3 steps to benefiting from automated systems in your business are 1) streamlining, 2) outsourcing and 3) automation. Streamlining exercise – Write down all the business tasks and responsibilities which must take place. Circle those which you and only you need to handle. Everything else can be delegated and outsourced. Email autoresponders, virtual customer retention staff and how-to videos are automated processes that can improve the customer experience in your business. Editorial calendars allow you to plan your business activities in advance. The following 5 video creation tools automate and speed up the content and product creation processes. When you hire a copywriter to handle your text-based content and product creation tasks, you free up time you can be spending on other areas of your business. Automate Ads, Buffer and SEO Meta in 1 Click are applications that automate the marketing and promoting of your small business or blog. Buffer, Click to Tweet, Tint and Hoot Suite are social media marketing applications that reduce your time investment and improve your social media presence. Freelancer sites like Fiverr.com and Freelancer.com are home to global virtual employees who are experts at managing your projects for you. Alternately, you can turn to BaseCamp, Asana or WorkFlowMax for project management applications and services online.